Question: Can vitiligo be treated? Answer: There is no known cure for vitiligo but there are treatments which can reduce existing patches. No treatments stop the disease progression- the spread of white patches or appearance of new ones can happen during or after treatments. You may consider using makeup or self-tanning sprays or lotions to cover up patches to avoid extra costs, risks, side effects, or the possibility of a procedure not working. Not all treatments work for everyone and many of the options take a long time to show results. All of the treatments come with risks ranging in severity from minor skin irritation to skin cancer so it is very important to know and consider the risks of any treatment plan when you are making your decision. Research and trials of vitiligo treatments continue so you may want to follow the vitiligo community to know the latest about treatment options. Joining a support group or web forum is one helpful way to learn about other patient experiences, treatment locations and resources, and the latest research. Do the vitiligo patches spread over time? What are the major vitiligo treatments? How long does it take to treat vitiligo? 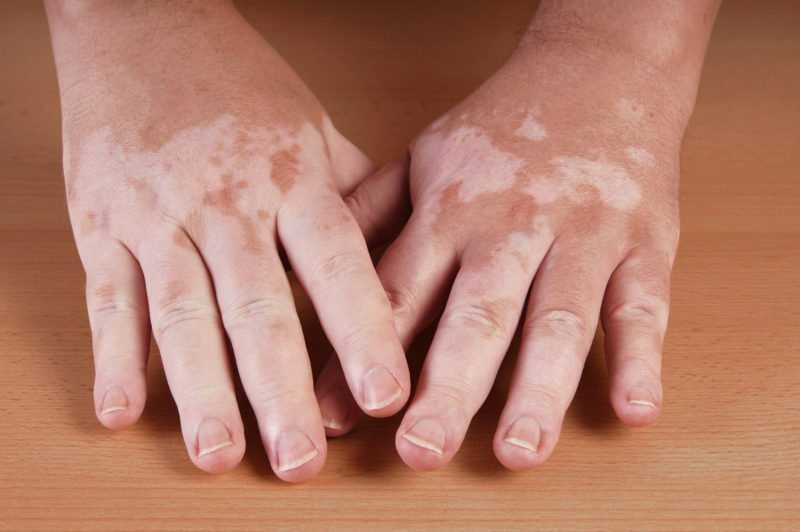 I’ve just been diagnosed with vitiligo, now what do I do? What percentage of the population has vitiligo?